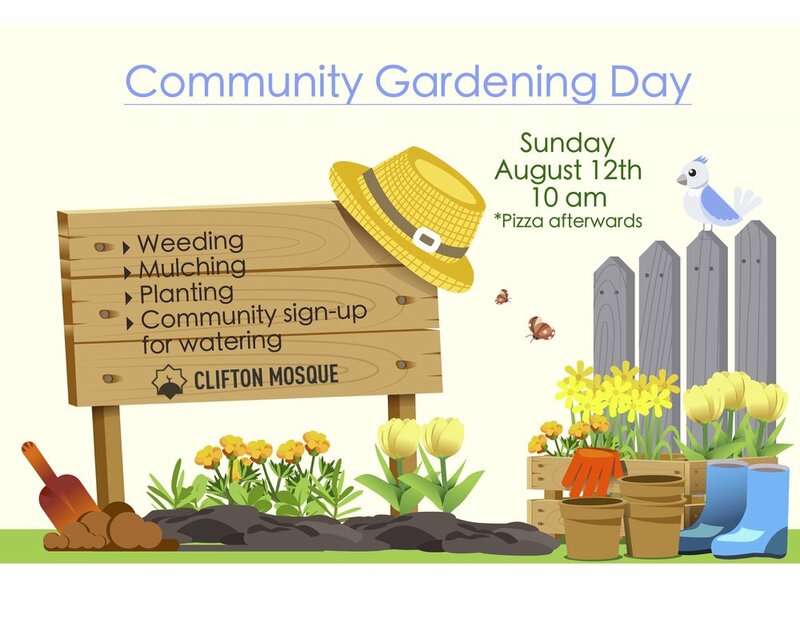 Join us on Sunday, August 12th at 10 am for a day of community gardening. Help us return the landscaping at the mosque to a beautiful state. We will be weeding, planting, mulching and watering. There will be pizza when we are finished.